Do we really train the best Firewalk Instructors? People often ask why our Firewalk Instructor Training Course is 5-days when other Firewalk Instructor Schools can do it in 4-days. To understand this, you need to know that our aim is to train the best Firewalk Instructors, and we take that aim very seriously. Most Firewalk Instructor Schools use the same format, the same schedule, and the same activities for the Firewalk Instructor Training Course. And that has been the same since for the last 40 years. Indeed, we did the same with the first Firewalk Instructor Training Course that we ran. But after that we went straight into reshaping and redefining the course. A lot has changed in the last 40 years and we deliver a course that takes that into consideration. I should also say, becoming a Firewalk Instructor for me was a bit like passing my driving test, it’s after the test that the real learning began. Bearing that in mind, I have always aimed to surpass the training that I received. Not that there was anything wrong with it, far from it. In fact, that training was the best course I have ever taken and I will always be grateful for my trainers. Training the best Firewalk Instructors means paying attention and learning from the past. We learn from every course we deliver, and we apply that learning. We want our students to leave the course empowered and ready to lead their first Firewalk. The result is our students are constantly getting better and better training. Remember, we aim to train the best Firewalk Instructors and to do so, we must deliver the best Firewalk Instructor Training Course on the planet. These are big aims, and we are achieving them. Are we training the best Firewalk Instructors? I won’t get into all the ins and outs of the journey we have been on with the Firewalk Instructor Training Course, but I will show you where we feel we are making real progress. In doing so, you should get a feel for what it will be like to train with us and how we can help you on your journey to becoming an International Firewalk Instructor. Working with the Fire is a very important part of Firewalk Instructor Training. By extending to 5-days we can give our students an extra Firewalk and lot’s more time building Fires and Tending Fires. Experience in building fires and tending fires is crucial when it comes to making sure people leave our courses confident that they have the skills and ability to do so. Everyone comes on the Firewalk Instructor Training Course at different level of experience and confidence when it comes to public speaking and presentations. We have worked with Professional Speakers and we have worked with people petrified about speaking in front of others. Through a variety of processes, everyone on the course gets to work at their level and grow beyond it. At the end of the day, if you want to lead a Firewalk, you need to have some speaking skills. If you have the skills already, we will work with you to gel your speaking skills and new Firewalking skills together. People find these processes very enjoyable, including those who cringe at the thought of public speaking. They are great for pulling together your new knowledge too. As much as Firewalking is the big component of Firewalk Instructor Training, you also learn Glass Walking, Rebar Bending, Board Breaking, Brick Breaking and Arrow Snapping. We make sure you get lots of time on these activities. You learn how to get the resources you need for them, all safety aspects, variations and how to deliver them. The latter feeds into the “More time Speaking” part of your training. It’s great that you know how to do the activities and have experienced doing them, but that’s not enough. Ultimately, we want to know that you have the skills and confidence to deliver them. It’s well known that you learn by doing. To help with this, you get lots of opportunities for peer teaching and you will also get an opportunity to work with a group. You read that right, during your Firewalk Instructor Training Course you and your fellow students will get to work with a group. Of course, you will be prepared and we will be with you. We love being able to offer this as part of your training because we see the immense and invaluable experience it gives you. We are all different. What scares you, won’t scare someone else, and vice-versa. And with so many activities on the Firewalk Instructor Training Course, it’s almost a guarantee that at least one element of the Course will have you outside your Comfort Zone. Now, you can call us sadistic if you like, but we like to make sure you get outside of your Comfort Zone. To do that, we incorporate activities that are more experience orientated. We are not teaching you how to deliver these activities, although you will learn how to include them in your courses and training sessions. If you asked someone who has completed the Firewalk Instructor Training Course you can find out what some of these activities are. But, and this is a big but, we always have a surprise activity. It might be a pleasant surprise and it might not. Whatever it is, you can be sure it highly unlikely someone will have told you about it. We like to mix things up and keep you on your toes. You can learn a lot when you are on your toes and outside your comfort zone! This might seem like a very boastful thing to say, but it’s not. We have a lot of knowledge to share and you can pick up more from us at various stages before, during and after you Firewalk Instructor Training. We are always on hand to answer questions and help you prepare for what will potentially be the most challenging, fun, and rewarding course you have ever completed. You will receive comprehensive information to help you prepare you for the course and we will answer any questions you have before the course. Occasionally people feel anxious about the course in the weeks before it and we will help you with that too. If you are flying in for you Firewalk Instructor Training, we will collect you from the airport. No sense giving you the extra stress of negotiating a new country. That means you will be with us from at least the evening before your Course starts. We actually encourage all our students to arrive the evening before. How about that for early kick-off? Our venue for the Firewalking Instructor Training is where we all eat and sleep too. This is great for you because we can all talk and learn more at meals and when we have downtime – not that there is much downtime. By spending quality time with your fellow students, you will learn from them too and make new friends. Friends you won’t ever forget. And you never know, you might work with them in the future. As standard, everyone that completes and passes the Firewalk Instructor Training Course with us gets ongoing support via telephone, email and our private Facebook group. There is no time restraint and no extra costs for this support, we are always here to support and guide students that train with us. Furthermore, you will always be welcome to come back for a free refresher, you will just need to pay for your room and board. In addition to that, you can have one of us at your first Firewalk. There is no cost for this other than covering our expenses. Finally, after you graduate you will take home an incredibly comprehensive manual covering all aspects of your training. The manual and lots of other useful resources can now be accessed on our website by all who train with us. So, do we really train the best Firewalk Instructors? We like to think so. And you now have lots of insights as to how we aim to train the best Firewalk Instructors. But don’t take our word for it. If you want to train as a Firewalk Instructor, we can put you in touch with any of the students that trained with us. 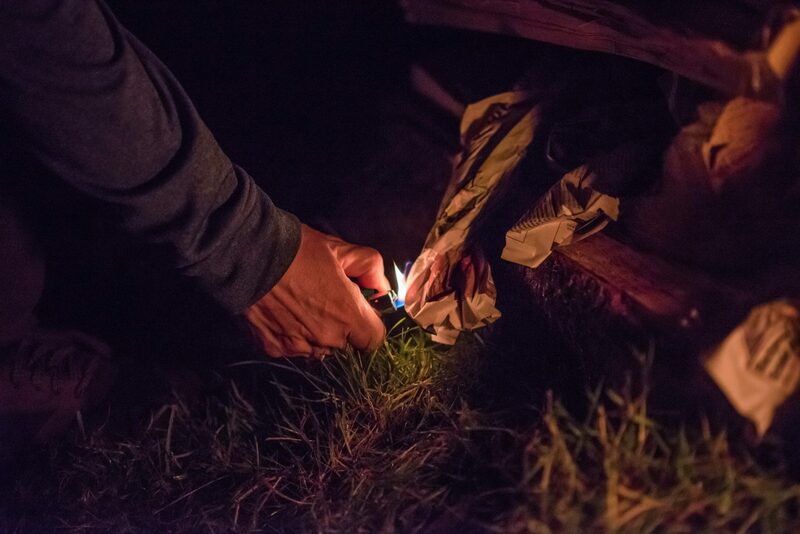 We are confident they will give you an honest insight to how we trained them to be the best Firewalk Instructors. Ps. Did you know we also have a course called The Business of Starting your Firewalking Business? This is a fantastic 3 day course that will show you how to get the basics right when it comes to starting a Firewalking Business. It also gets you one step closer to becoming part of the International Network of Firewalk Instructors. Put your Best Foot Forward and start your Firewalking Career today!